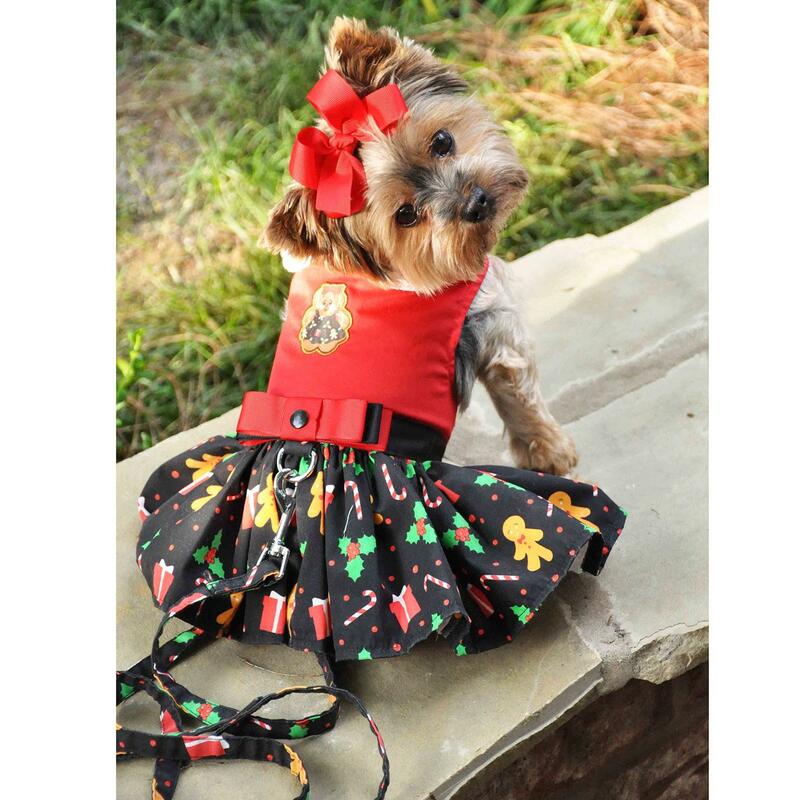 Your pup will look as sweet as a holiday cookie when wearing this limited-edition Gingerbread Dog Harness Dress by Doggie Design. Make the holidays bright with this comfortable confection that makes all of your outings more festive. This holiday dog harness dress features coordinating holiday fabrics, Peter Pan lace collar, a gingerbread applique, and a matching leash. You and your pup will be ready to go on any shopping trip or stroll in an instant with the easy-to-apply touch fastener at the neck and chest. Did your pup feast on too many holiday goodies? No worries, because the heavy duty hook and loop tape provides a wide range of adjustment. Look for the matching Gingerbread Dog Harness Vest (sold separately) for an adorable holiday outing duo! Get them while they last! Just like fresh cookies out of the oven, everyone will be grabbing these up while they're hot! 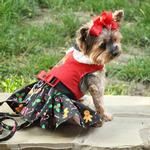 Holiday Dog Harness Dress by Doggie Design - Gingerbread Customer Photos - Send us your photo! It was with great delight that we received the charming and beautifully made Gingerbread Harness Dress by Doggie Design as a Christmas gift for Bella, our 7-year-old cairn terrier chihuahua mix. Bella’s cousin Roxy has fantastic taste and fashion sense, and she and Baxter Boo helped Bella be the best dressed doggie on Christmas Day. Thank you Baxter Boo for another perfect holiday frock! Libby loves her dresses! Especially the ones from Baxterboo! Her 3 brothers matched her this Christmas with matching vests. Libby also has the cutest underbite! Addie looks sweeter than a gingerbread cookie and is ready for any holiday paw-rty in her gingerbread dress! Izzy loves to pose and loves to play. She is the best! Chloe is an 5 year old Toy Poodle and she is getting ready for the Christmas season sporting her cute gingerbread man dress. Holly is an 8 year old King Charles Spaniel and she is getting ready for the Christmas season sporting her cute gingerbread man dress. Izzy is 20 months old and a complete joy. She loves posing in all her new outfits. Posted On 04/16/19 by Lauren H from Allentown , PA Yes, Lauren H recommends this product! What a cute little Christmas dress. Had to buy for my dog and my friends dogs. Medium for 10.5 lbs fits little big. Posted On 03/09/19 by hodgefmly from terre haute, IN Yes, hodgefmly recommends this product! This cute dress is perfect for Christmas. The embroidery is adorable. Love the attached leash which is included. Posted On 02/14/19 by Lauren H from Allentown , PA Yes, Lauren H recommends this product! Roxy’s Christmas dress was perfect. I love this dress, very happy. Posted On 12/31/18 by Biloxi from Biloxi, MS Yes, Biloxi recommends this product! This dress is so full and made to fit. Love it so much. Posted On 12/30/18 by Janis H from Juno Beach, FL Yes, Janis H recommends this product! What a cute little dress! It is made extremely well and I cannot believe the details! Angel looks so cute in it! Posted On 12/26/18 by Deborah Q from Biloxi, MS Yes, Deborah Q recommends this product! Posted On 12/13/18 by Manchester from Manchester, NH Yes, Manchester recommends this product! This little dress looks fantastic on my Chihuahua, and what you can't see in the picture is the petticoat underneath the skirt, so it flares out nicely! I'd add a picture of her wearing the dress if I could. So cute. Posted On 12/12/18 by Nancy P from Tampa, FL Yes, Nancy P recommends this product! This harness dress will put you in the mood for the holidays. Very well made with nice material. Love the convenience of the harness. Posted On 12/01/18 by Pam H from LEXINGTON, SC Yes, Pam H recommends this product! This dress is absolutely precious! My baby girl looked so cute in it. I did find it ran a bit small and needed to adjust the velcro on the belly but once I did that it was perfect. She had her Christmas pictures done and everyone just loved this dress. Made the perfect Christmas card. Thanks Baxter Boo for having such cute outfits for my girl. This dress fits well on my fur baby. It is made well and easy to put on. Perfect for all your Christmas occasions. Posted On 11/15/18 by Lauren H from Allentown, PA Yes, Lauren H recommends this product! I have bought 4 of them 1 for my dog the others for her dog cousins XS, S, M, L each dress was on a great sale plus I finally used my pet of day gift certificate & a super coupon so it turned out i only paid like $7 each dress. Thanks BaxterBoo for having such cute dresses for dogs. Each year my dog gets a new dress for the holidays. This year I decided to have all the girls ( my Roxy & her cousins ) matching dresses. Merry Christmas xoxo Roxy. 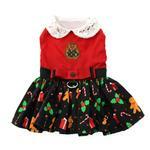 this adorable Christmas dress is perfect for Miss Molly who is a 20 lb Cavalier King Charles Spaniel. I bought size Large which fits her perfectly. 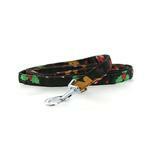 Love the matching leash! 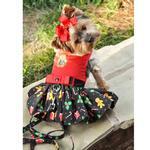 This Doggie Design harness dress is very well made! This was previously on back order, I am so happy it came in now, in plenty of time before the holidays!